Isaac Newton Duhaney Gordon was born in Pondside, Hanover, on February 26, 1867. He was the seventh child of George and Frances Gordon; his father, who was an ardent worker for the Presbyterian church, died when Isaac was only a year old. His mother, Frances, was a typically strong and determined Jamaican woman, who ensured that her son got a good education, hoping that he would later enter the Presbyterian ministry. He and his siblings received their schooling from Mr Joseph Shaw, who had been a student at the 'famous Montego Bay Academy', a Presbyterian school. When his early schooling was finished, Isaac decided to apprentice himself to a joiner in Falmouth, but later, to his mother's delight, he decided to resume his academic studies, and was accepted at the Mico College, where he excelled. While studying at Mico, Isaac used his holidays and Saturdays to learn Greek from a Presbyterian minister in Kingston. He also assisted with the work of the St Andrew's Kirk and of a 'ragged school' in the south-east of the city. After completing his course at Mico, he taught for four years, first at Academy Hall in Montego Bay and then at 'Ewing's Caymanas', where he taught many students who later went on to hold good positions in various professions. He next entered the Theological Hall at 82 Duke Street to continue his studies for the ministry, under the guidance of the eminent clergyman, Dr Robb. While studying he continued his work for the church, being especially involved in the mission efforts in West Kingston. In 1889 he completed his studies and received his licence to preach. He received a 'call' from the congregation at Cedar Valley in St Catherine, where he was ordained on November 20th, 1899. He served there for many years, later serving in Hampstead in St Mary, and after that at Mount Horeb in St James. 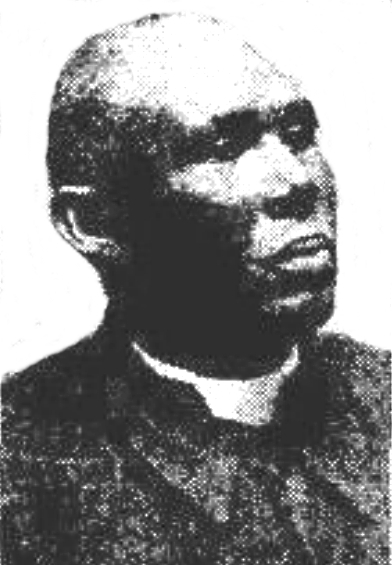 He was Moderator of the Presbyterian Church in Jamaica in 1910. He was a great supporter of the temperance movement, helping to establish Good Templar Lodges across the island. He was also deeply involved in the Christian Endeavour movement and attended the International Convention in Baltimore in 1905. He was President of the Jamaican Christian Endeavour Union in 1920. He participated in an Evangelical Campaign in New York, sometime in the first decade of the century, where he preached to thousands in a tent on the East Side. Most of the audiences were largely made up of Whites, and it was reported that at least 100 professed conversion. He was a member a different times of the St Catherine and St Mary Parochial Boards, and took a special interest in the development of agriculture in the parishes. He served on parish and district school boards and was particularly involved in the programme of setting up school gardens across the island. The Rev Mr Gordon died in August 1926 as a result of a strange and tragic gun accident. A man, who was visiting him, used the stock of a gun which he had with him to chase away a turkey from the verandah where they were sitting. As he put down the gun its faulty trigger went off and Mr Gordon was shot in the hip. Although he received medical attention quite promptly, he died some hours later, presumably from loss of blood and shock. Mrs Eva Gordon, a fine teacher, never really recovered from the tragedy of her husband's death; the couple had four daughters and two sons, one of whom was a Presbyterian minister like his father.